Very pretty and very CAS...beautiful scallops!! hand cut? 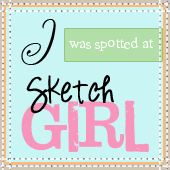 p.s you have some amazing luck when it comes to give aways...check out Jane's doodles!! What a NEAT card Ujjwal ! Hope yr Knee Heals Fast.. & U get to share more n more projects here! I just saw you won Jane's giveaway!Congrats! this is so pretty love the silhoutte stamp and the sentiment too. Love the CAS & the colors are surely complimenting!!!! its gorgeous and very classy! What a happy card! It makes me smile to look at it. It's simple, but packs a punch, especially with that pop of scalloped pink. Thanks for playing in our Color Splash challenge at The Cafe! so sweet. love the cas design. Awesome card,love the scallop border. Wao... its a so gorgeous... so clear.. clean.. simple and stunning... All your cards are just waoooo!!! Cute card.. loved the kids stamp! super duper gorge! LOVE LOVE LOVE this!!! CAS cards look stunning if they are done right, just like this one! Lindo seu card... simples mais bonito e de bom gosto. This is a fun card...cute! Just stopping by to let you know that i got the package! Thank you very much!!! will mail later as i cant access hotmail at the moment. This is so fun and what a great simple design! Thank you so much for joining in on the color splash at The Play Date Cafe. Very preety pics you have choosen to put on this blogs. Really your work should be appreciated.